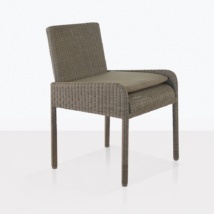 The Zambezi outdoor wicker dining chair gives classic wicker weave a modern edge that is unique and ahead of its time. 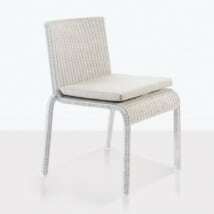 We have the latest styles and highest quality outdoor wicker dining chairs around. W21" x D25" x H32"
This wicker dining chair will become a signature piece for your outdoor dining and entertaining space. 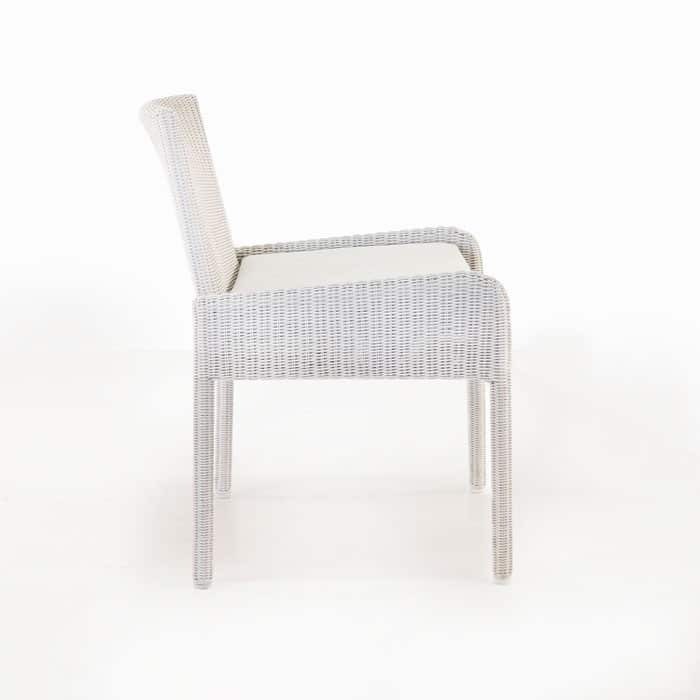 The unique shape of the chair along with the wicker weave make this chair extremely versatile. 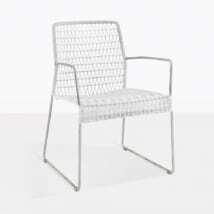 Whether you are dining in a country setting or on an outdoor urban terrace this chair will satisfy both styles. We only use the highest quality wicker and materials here at Teak Warehouse. 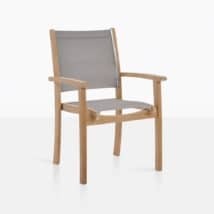 The frame of this chair is made with powder coated aluminum. This is a great material for outdoor use because of its durability and strength. 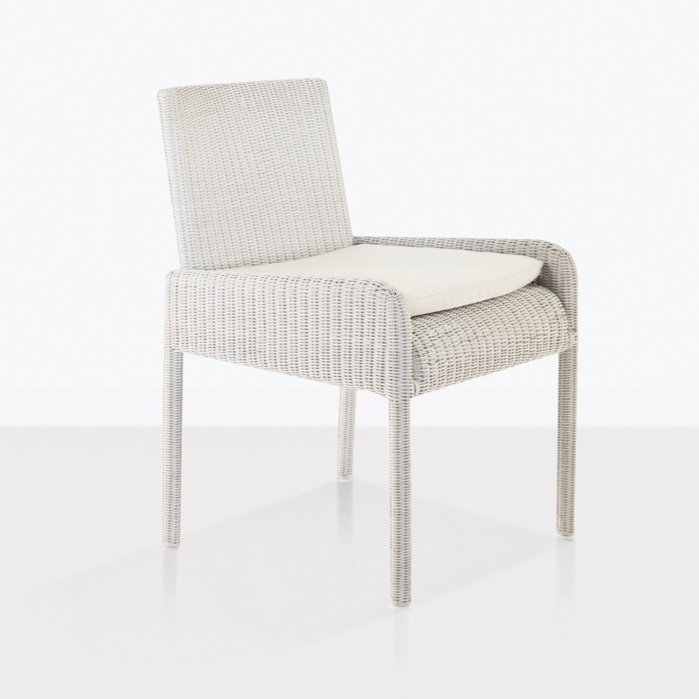 The Ecolene® wicker is carefully woven around the frame. 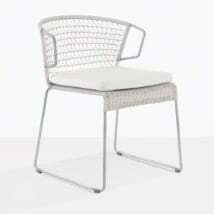 This type of wicker is suited for outdoor use. It is highly resistant to the sun and salt water. And it is easy to maintain. 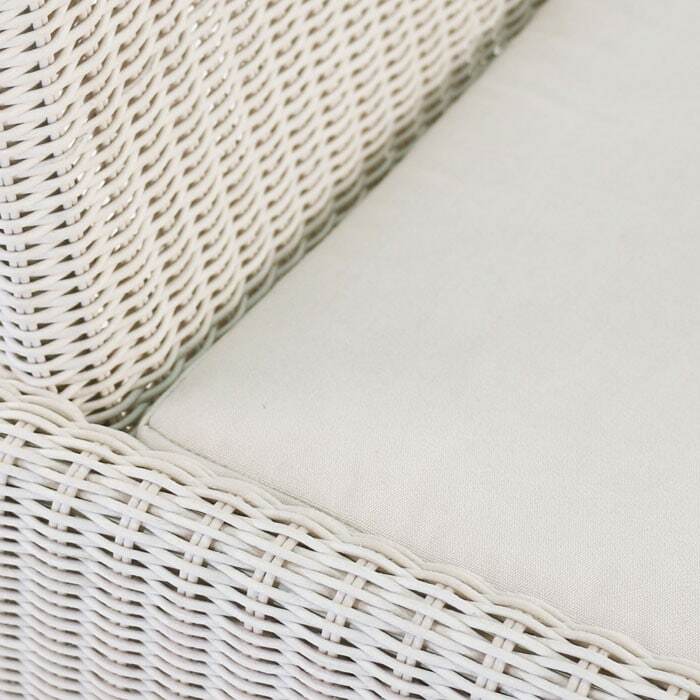 These materials are the perfect combination for outdoor furniture. They are light, but strong making them easy to move around your patio. The Zambezi collection also includes a side dining chair as well as lounge seating so that you can complete your outdoor dining experience. 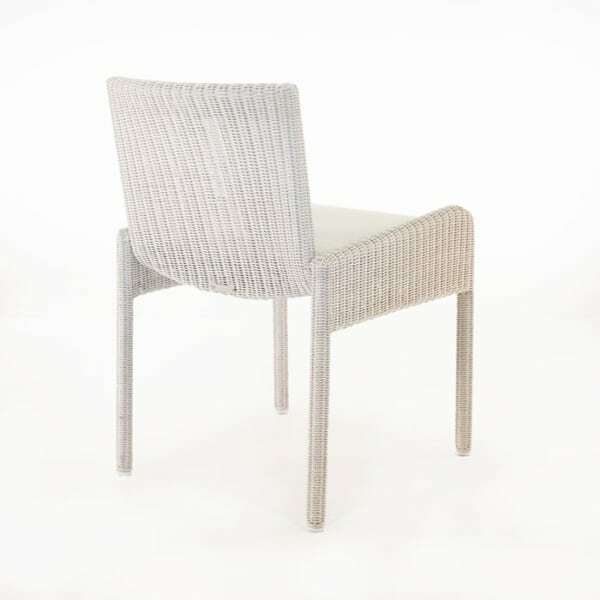 The soft color of this white wicker dining chair complements our teak and concrete dining tables. Start enjoying your outdoor space by dining in the afternoon sun or under the lights. If you need help designing your patio dining space please call us today. We can offer the best tips on how to help you enjoy your outdoor space.